At 30TH FEB our expert works closely with your team as a Brand Manager on your Brand Strategy, we offer brand & marketing services to businesses world over. While the expert consults, brainstorms and works on your brand strategy – our team takes care of the Branding Operations. A Brand is a wholesome approach of business. And it begins with your Brand Name – its relevance, how meaningfully & sensibly the name defines the business. A Brand Personality which is evolved using the Brand Identity Prism is the second step of Branding. A perfect color scheme with lot of ideation, researching and concepts lead to a logo design followed by the brand elements – from stationary to thank you notes, from display pictures to social accounts. Marketing is about making something like able & interesting. Internet has changed the rules of marketing. It is no more about Sales! Marketing Communication Design – Usually, people believe in investing in brand design and take marketing for granted. Brands need to evolve constantly by the way of marketing communication. Your design, brand copy, a sharp message is all what makes the difference. Modern day marketing revolves around content. The brand content has to be well researched, talk business, act as a brand voice and should be the base of marketing activity. At 30TH FEB, we brainstorm, study competition, copy write and then re-write to have interesting & catchy brand voice for the design collateral, social media and even newsletters. We do real content with an eye on detailing and focus on Call-to-action. While developing marketing collateral – we keep an eye on the market, the consumer insight, the advertisement place, intent & target. We work on Social Media – right from strategy, content build-up, media channels and training clients to manage their own brands. 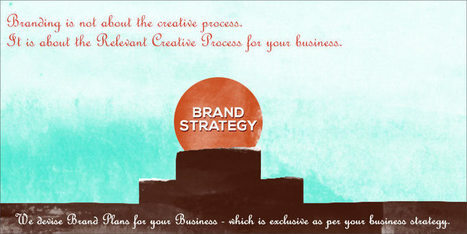 We initiate the process to make sure that your brand move in the right direction. We make sure that a brand touches & reaches the appropriate business suitable channel. We help businesses by becoming the external consulting department. Your business is growing, expanding or you are planning to re-brand to re-launch; you need a brand consultant, a creative consultant – we are the brand consulting agency with monthly packages. 30TH FEB offers outside brand consulting partnership through strategy support, right from the gap analysis to marketing plan, implementing & executing promotional drive. We can also help you with your yearly marketing plan, promotional drive and even event planning in your pre-defined budgets. For more Customized Brand Consulting Packages for your business or startup, Drop us a Line.